We buy junk trucks and SUVs too. But we won’t treat you like you’re trying to sell us a junk car. Because we’re dealing with scrap metal prices per pound that almost automatically means that your truck or SUV is going to command more dollars. We won’t lowball you with junk car prices like many of the junk car buyers, salvage guys and junkyards try to do. 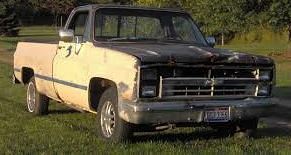 We know your junk trucks and SUVs will get us up to 50% more at the scrapyard so we pay you accordingly. We’re not looking for any easy payday by taking advantage of unknowing junk truck sellers. We earn our living. We work hard every day, treat our clients fairly and always pay according to the going scrap metal rate.